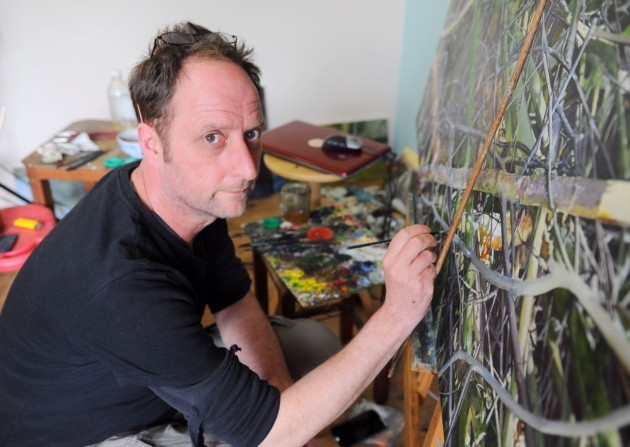 Born in East Anglia in 1966, Paul has been painting in oils for over thirty years. He paints both portraits, and highly detailed landscapes that tie in with events and experiences in his life. He uses traditional techniques to produce work of exceptional quality, often on a large scale. He attempts to produce paintings that are, in some way tactile, sensitive and meaningful, and to create realism that is not simply photographic. Pauls work in recent years has been steadily gaining recognition, with paintings in several private collections. Paul has been a BP Portrait award finalist in 2015 and 2017. For all portrait or commission enquires contact Paul directly using the contact form.